The Russian Air Force will buy as many fifth-generation jet fighters as the Russian industry will be able to produce, Russian Air Force Commander-in-Chief Viktor Bondarev said. Russia’s fifth-generation fighter jets known as PAK FA aircraft will enter service in 2016 and their serial supplies will start from 2017, Russian Air Force Commander-in-Chief Viktor Bondarev said on Thursday. "The fifth-generation fighter jets will enter service from next year," Bondarev said. "We’re completing the aircraft tests and from 2017 they will be serially supplied," the Air Force chief said. 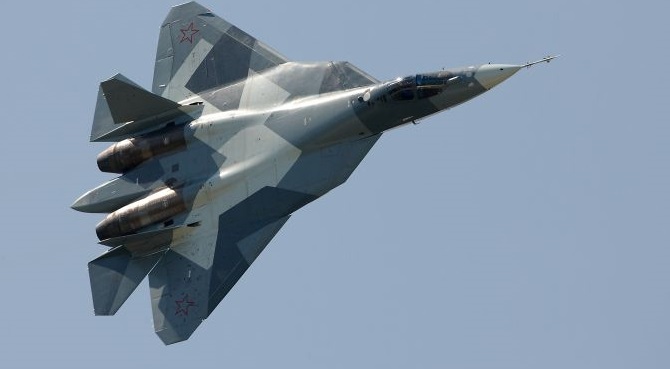 Russia’s new fighter jet "will not be in any way inferior to US F-22 and F-35 fighters and will surpass them by all practical parameters," Bondarev said. The PAK FA will be a multifunctional plane designated to "deliver strikes against ground, air and sea targets," the Russian Air Force chief said. Russia’s new-generation plane has a speed of over Mach 2 but today "invisibility, armament and maneuverability are more important," he added. "The tests of the aircraft are in full swing and the plane is demonstrating excellent characteristics. It has a splendid system of armaments striking both against ground and air targets," Bondarev said. "The aircraft was developed under the program of low observability, practical stealthiness. The plane is fitted out with the latest technologies available today. Besides, if there are new developments, they are also being introduced," the Russian Air Force chief said. According to Bondarev, the Russian Air Force will purchase as many fifth generation aircraft as the national defence industry will be able to deliver. "We shall have as many planes of this type as the industry’s capabilities will allow for," he said when asked about the size of the contract. "Of course, they will be unable to provide 24 planes at once, but we will take as many as they offer. If they make four, we will have four, if they make ten, we will take ten," he added.